Join the seasoned chefs behind the Den Corner restaurants – Sushi Den and Izakaya Den – for a tasty, informative culinary experience. Reserve your spot now! ✓ Submit with confidence. SSL Secure form. Cost: $80.00 per person. The tax and 20% gratuity will be added on your final bill. Important: Space is limited. Please enter your credit card # below to hold your spot. Your card will not be charged until day of event. I have a gift card. If you have any questions, please contact “Sushi Class Coordinator” at SushiClass@IzakayaDen.net or call 303-777-0691 between Tuesday and Saturday and speak to the manager on duty. I have read and agreed to the Cancellation policy below. Valet Parking is available in front of Sushi Den (next to Izakaya Den) based upon availability. Due to the time sensitive nature of ordering/receiving fresh fish, we must implement the following cancellation policy.By providing your credit card for the reservation means you have read and accept our cancellation policy. Cancellation between 2 weeks to 48 hours prior to class date – no penalty as long as youreschedule your class.o If not rescheduled, 100% of the booking will be charged to your card. Cancellation or No Show less than 48 hours prior to class date – 100% of the booking will becharged to your card. Cancellation request must be made to “Sushi Class Coordinator” or “Manager on Duty” (MOD) at 303-777-0691, or SushiClass@IzakayaDen.net, and you must receive a cancellation code authorized by the MOD. In the rare case that a class must be cancelled by the Restaurant, there is no penalty. The Restaurant reserves the right to place a temporary authorization on your credit card. Cancel or Reschedule up to 3 weeks prior to the class date – no penalty. Cancel between 3 weeks to 2 weeks prior to the class date – 50% of the booking will becharged to your card. However, when the class is rescheduled, no penalty is applied. Cancel 2 weeks or less prior to class date – 100% of the booking will be charged to yourcard. 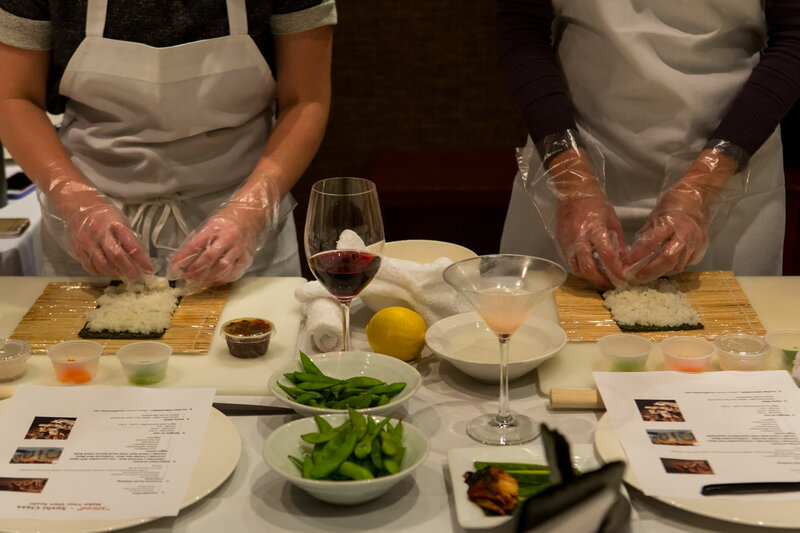 Cancellation or Rescheduling request must be made to “Sushi Class Coordinator” or “Manager on Duty” (MOD) at 303-777-0691, or SushiClass@IzakayaDen.net, and you must receive a cancellation code authorized by the MOD. In the rare case that the Restaurant must cancel a class, there is no penalty. 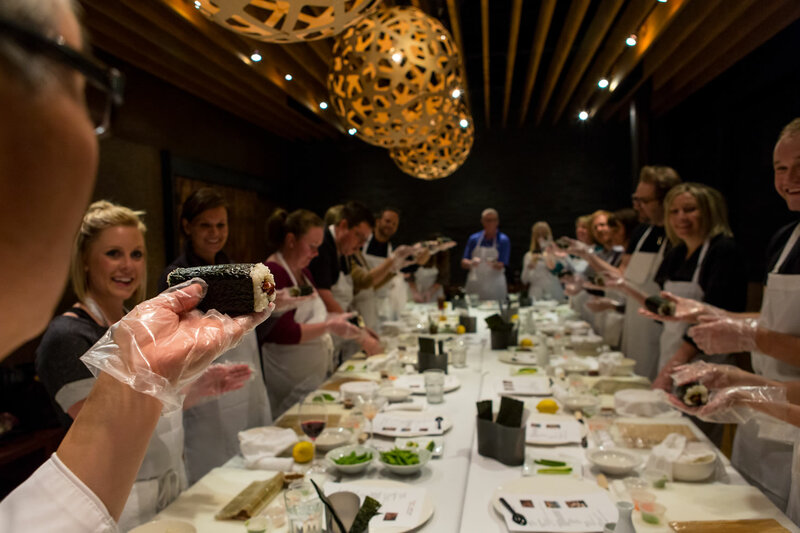 This Sushi Class Cancellation Policy is part and parcel to the reservation for the scheduled Sushi Class at Izakaya Den or Sushi Den located at 1487 S. Pearl Street in Denver, CO 80210. By receipt confirmation for your scheduled Sushi Class is an acknowledgement of your understanding of the Sushi Class Cancellation Policy. For any questions or concerns please contact the company at 303-777-0691 and speak to the manager on duty. This Sushi Class Cancellation policy may be amended at any time by Izakaya Den, Sushi Den or Hiro & Co. All rights reserved. How was your DEN experience? Thanks, goop for including us in your Denver Travel section! We're thrilled! Sushi Den has been regarded as one of the premier sushi and Japanese restaurants in the United States for 34 years.